The flag of Spain joins the flag of Cuba in the front window of La Pola in West New York, New Jersey. 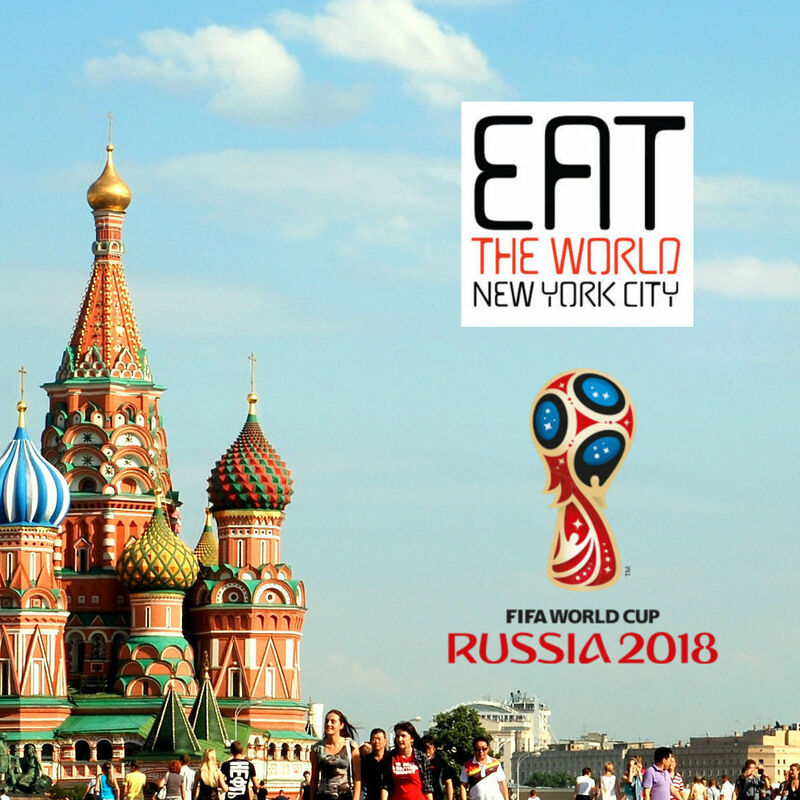 It takes a bit of investigation to figure out why since the menu is distinctly Cuban, but the proprietor is originally from Spain, immigrating to Cuba during his teenage years. Now a very kind elderly gentleman, he still runs the place efficiently, greeting both old customers and new and taking everyone's orders. Every surface of the restaurant tells a story and it is a little overwhelming at first. The menu adorns one wall, while the sandwich counter sits up front with a large pile of slow-roasted pernil ready to be added before pressing the sandwich on the grill. The menu board advertises about five daily rotating plates, but these sandwiches win awards and we recommend you start there. Some of the ingredients can be pre-stuffed into the delicious bread rolls in preparation of high volume. 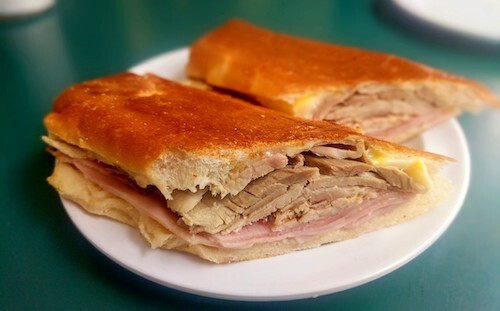 The shop has a couple different versions including their own house special, but we started with the classic cubano (below), a magical sandwich that has the right amount of everything. 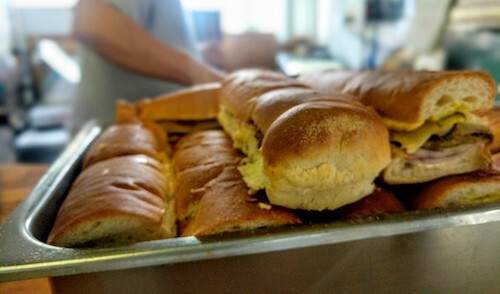 They use ingredients that all complement the original intent of the cubano, and work together to create something special, each part playing a role in each bite. The skill of the sandwich maker is on display as well with perfectly toasted bread and melted cheese. Seconds shorter or longer and it might not have been so good. Fresh juices and batidos (below) are each $4 and also go well with the food here. 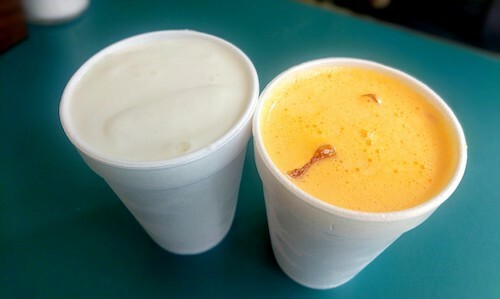 For something more sweet, try a cup of their freshly juiced sugar cane, guarapo, also $4. La Pola is one of the longest standing and most well-respected Cuban lunch counters in West New York, and just opening the door is enough to figure out why. That first bite will certainly convince anyone who needs it.